Audrey Mbugua Ithibu is a transgender woman in Kenya. She was diagnosed with gender identity disorder (GID) after completing high school in 2001. Afterwards, she went about getting her name and gender changed on a host of documents: her national ID card, passport and examination certificates that prove she’s completed her schooling. 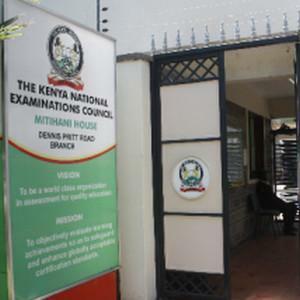 The Kenya National Examination Council (KNEC), the body that oversees exams across the country, has refused to change her details. Since her examination certificate lists her as a man, Ithibu claims has been unable to find work, leaving her with the distress and depression brought upon by the stigma of unemployment. Ithibu has decided to sue the KNEC in an attempt to make something happen. In December 2010, Ithibu inquired about changing the name and gender of certificates in light of a GID diagnosis. The KNEC required proof of the claim’s legitimacy and Ithibu went about providing it. She submitted a doctor’s report, birth certificates, an affidavit, certification from the council, registered deed poll and a copy of her old and new ID card: everything the KNEC said it would require to make any change. However, Ithibu was told changes couldn’t be made to her certificate after the exam results had been released. When Ithibu pressed for an explanation she was told the changes wouldn’t be made to curb cases of forgeries. In February 2013, Ithibu tried again. She resubmitted her documentation and was told she would get a response within two weeks. She has not heard back. Her first day in court will be May 28. You can read her story, in her own words, at the Transgender Education and Advocacy website. This entry was posted in News, World and tagged in brief, kenya, transgender, women. Bookmark the permalink.